A new study conducted by researchers at Oregon Health & Science University found that older adults that regularly use video chatting apps -- such as Skype or FaceTime -- were less likely to experience symptoms associated with depression when compared to those who used other social media apps. The researchers had over 1,400 participants, with an average age of 65 years old. Each person completed a survey about their social media and technology use so the researchers could gauge how often they used email, instant messaging, video chat, or social media platforms like Facebook. Two years later, the participants were asked to take another survey measuring their symptoms associated with depression, if they had any. Perhaps the biggest finding was the power that video chatting seemed to have on the participants’ development of depressive symptoms. Those that used Skype or FaceTime were half as likely to be depressed compared with those that primarily used email, instant messaging, or social media. 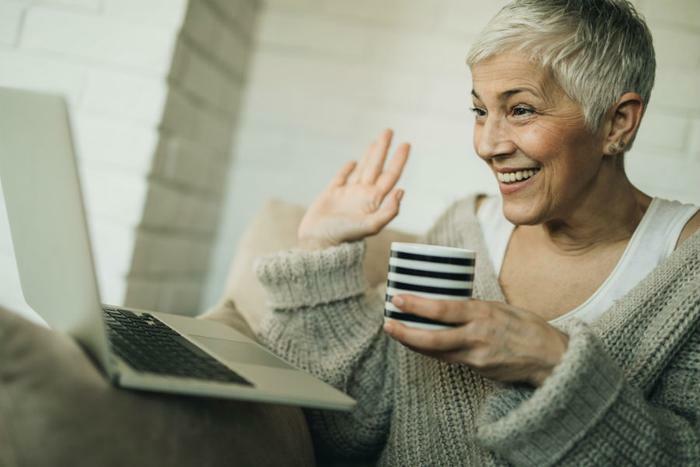 The researchers believe their study is the first of its kind that links the positive relationship between video chatting and reduced risk of depression symptoms in older adults. Despite these positive results, Dr. Teo still encourages people of all ages to engage face-to-face with as many people as possible to ensure a healthy mind. Recently, researchers have found both positives and negatives associated with social media. As powerful a tool as it is, it’s important that consumers find the balance that works for them. Last month, researchers found that words users post in their Facebook status could be used to detect depression. Researchers created an algorithm that was successful in predicting depression up to three months before a formal diagnosis, based entirely off what words users’ put in their Facebook statuses. Instagram rolled out a new feature a few years ago that could help those suffering from eating disorders, depression, and other mental illnesses. Users can anonymously flag posts if they come across one that they think was posted by someone in need of help. Once a photo is flagged, the poster will receive a notification from Instagram advising them that a follower is concerned, and provide them with several different ways they can get help. On the other hand, social media has been found to be the cause of some negative emotions. Many reports look to social media as one of the primary causes of the increase in depression among young people. Researchers also found that social media can create an exclusionary effect for many users who see their friends interacting without them. Though this oftentimes occurs unintentionally, the damage is done. “We’re using these technologies daily and they’re pushing information to users about their networks, which is what the sites are designed to do, but in the end there’s negative effects on people’s well-being,” said Michael Stefanone.